The bakery and pizzeria co-operative celebrates its one year anniversary on Valencia Street in San Francisco Monday. And to mark the occasion, Arizmendi is giving away a free slice of pizza between 12 and 4 p.m. Monday. Just stop by the store and spend $2 on something -- like a drink -- and enjoy a slice on the house. 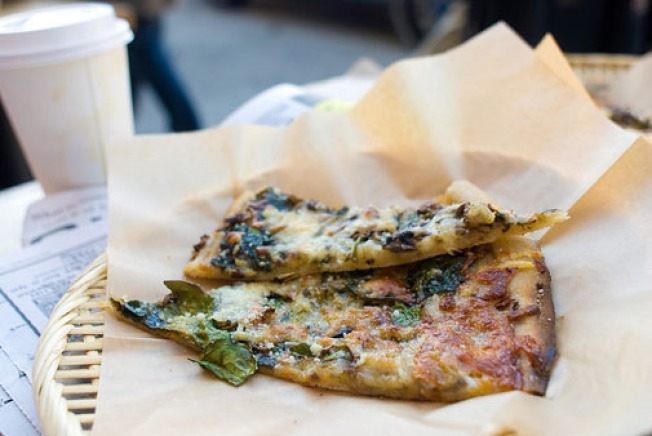 Arizmendi's features a pizza of the day that is always a vegetarian feast baked on a thin crust sourdough crust.